In announcing its own streaming service, Disney took a crucial first step in course correcting video service strategy and advancing Walt’s own vision for his storied company. But few details were provided, including what the service will look like, how it’ll be priced and sold, and who will buy it. Here’s what we'd guess, and how we think the service will transform both Disney and the industry overall. Two years ago, we published a treatise on what I saw as an inevitable Disney streaming service. Since then, a lot has changed – especially at Disney. The House of Mouse has taken decisive moves to enable such a service and correct years of digital-era mistakes: It acquired 75% of BAMTech for $2.6B to power the technology, announced the end of licensing its most valuable content to third parties, agreed to buy 21st Century Fox in a $60B all stock deal to expand the scale and scope of this content offering, began development of the first-ever Star Wars TV series, and so on. At a high level, it’s easy to imagine a Disney streaming service: It’s Netflix, but all Disney (to that end, many have taken to calling it “Disneyflix”). However, this vision is incomplete and, actually, not very Disney. The proper Disney subscription service – or “Disney-as-a-Service,” as I see it – won’t just be a repository for the Disney Vault, Marvel Cinematic Universe, a dozen Star Wars movies and a handful of TV series. This service won’t just be about video, it will be about leveraging the entirety of The Walt Disney Company – whether it’s online or off, in the theater or on a cruise, enjoyed by infants or seniors. And the question of what the service looks like raises another three questions: How is it sold, how much does it make and how does it change the industry? The purpose of this piece is to address these very questions. What could the Disney subscription service look like? While expanded functionality is unlikely at launch, Disney’s OTT subscription service will eventually include every aspect of Disney’s business. It’ll bundle in not just Disney’s film and TV catalogue, but also access to its comics, eBooks, apps, digital games and albums. The groundwork for this, though modest, already exists in Disney’s children-focused UK service, Disney Life. In addition, subscribers will likely benefit from discounted theme park passes, merchandise promotions (if not exclusives), loyalty rewards and more. The technology to support this isn’t simple, especially for a company still new to both OTT and D2C distribution. However, it’s quintessentially Disney. Only two years after the company’s first theme park opened in 1955, Walt Disney detailed an expansive vision for Disney – one in which every segment of the business worked in concert. They would develop shared IP, foster shared creative talent and use shared managerial, promotional and financial infrastructure to tell stories that would define generations and traverse media formats. Though Disney’s success over the subsequent 60 years is hard to overstate, the company has remained stuck in the business of selling individual units of content or entertainment: an hour, an episode, a book, a movie, a performance, etc. It couldn’t deliver a sustained experience (especially one across multiple media), establish true direct-to-consumer experiences or escape the tyranny of product and segment P&Ls. It could aspire to, but not achieve, Walt’s vision. The shift to a Disney subscription service solves this problem. It allows Disney to transform from a company about products, titles and characters to one that sells sustained entertainment ecosystems. Instead of “hiring” Disney for 90 minutes or 30 pages, audiences will hire the company to tell them stories year-round and across a multitude of media and formats. This is uniquely possible today, thanks to digital distribution and Disney’s growing experience in multi-product, multi-channel storytelling. Direct distribution will also help Disney protect and enhance the “Disney Magic” by reducing the company’s reliance on third parties and by knowing and interacting with each customer individually and directly. And the service will create more and higher-quality user data for Disney, which should drive better content investments in the future. However, supporting this service won’t just require bundling various products together and “unlocking Walt’s vision.” It will also require significant changes to The Walt Disney Company’s organizational structures, business models and content strategies. While Disney-as-a-Service will sustain straightforward P&Ls for certain segments (e.g. parks, consumer products), the individual contributions of various media categories (e.g. comics v. TV), properties (Star Wars v. Marvel) and titles (Thor v. the Marvel Cinematic Universe) will become more opaque. Accordingly, Disney will need new evaluative frameworks that emphasize engagement and retention over simpler measures like revenue and cost, as well as revised employee/talent compensation models. In addition, Disney will need to partially walk back its incredibly successful video strategy. Rather than focus exclusively on properties with the highest audience potential (which is what Disney excels at today), maximizing subscriptions will require the company to divert some spend toward content that addresses smaller, underserved audiences. And to support “DaaS,” Disney will need to further empower its centralized IP management functions (e.g. Lucasfilm Story Group) – even when this means reducing commercial/executive control. The most exciting aspect of Disney’s evolution may be the sustained transformation of its feature film business. Here, I’d predict three to four major changes. The first move will likely be a reordering of the post-theatrical window. Today, Disney’s feature films are available on home video long before they hit Netflix. Once “DaaS” launches, this sequencing is likely to reverse. 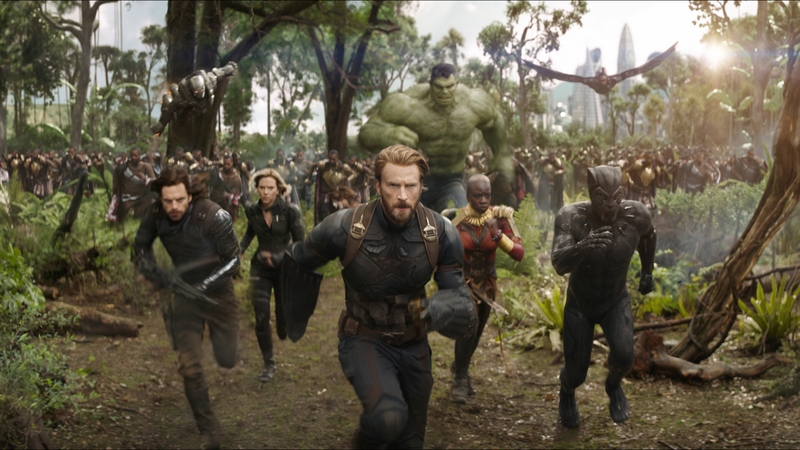 By prioritizing SVOD, Disney will be able to improve the service’s value proposition, drive adoption and avoid customer confusion (it’s not a great experience if your friend can watch Thor: Ragnarok at home after spending $20 at Best Buy, but you can’t despite subscribing to Disney’s signature service). This will cannibalize the company’s significant high-margin wholesale revenues, but it should increase long-term value by converting a single transaction into a recurring monthly subscription (and one that has no marginal costs). It will also help Disney shift from a business in secular decline (home video) to its future (Disney-as-a-Service). Second, Disney will likely restart its “direct-to-video” productions, which have been on hold since the early 2000s. The most likely “direct-to-platform” feature releases will be Disney’s non-tentpole/franchise films. To use recent examples, this would include titles such as Planes and Planes: Fire & Rescue (lower-budget Cars spinoffs that did $90MM and $59MM at the domestic box office), as well as 2017’s Born in China (a nature documentary that grossed $13MM) and Queen of Katwe (a sports biopic starring David Oyelowo and Lupita Nyong’o that did $9MM). Notably, direct-to-platform releases are likely to be the primary focus of 21st Century Fox’s indie film distributor, Fox Searchlight, if the Fox acquisition is approved by regulators. In addition, Disney will likely invest in feature-length specials intended to launch new series (e.g. 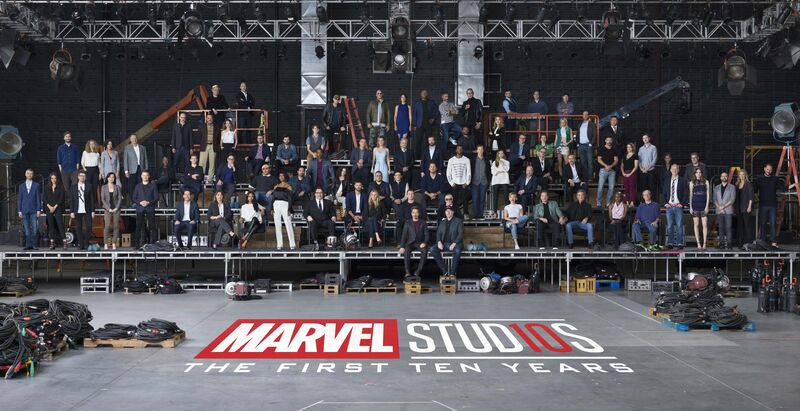 Inhumans), revitalize older IP (John Carter) or sustain interest in various franchises between major releases (Tron), as well as produce occasional feature-length specials for their top series (Agents of Shield or Defenders). As Disney begins to see the benefit from direct-to-platform releases and an accelerated SVOD window, while simultaneously shifting more of its internal operations to support DaaS, more drastic changes will begin to occur. For example, the company will probably further reduce the amount of time between a film leaving theaters and being made available on home video/SVOD (i.e. from several months to several weeks). Disney is also likely to test day-and-date releases (i.e. simultaneous theatrical and SVOD releases) or shift some of its major franchise films, like Thor, to Disney SVOD-only – either at additional fees (e.g. +$10 to watch Thor while it’s still in theaters), or as part of a broader strategy to raise the service’s monthly price (the latter implementation being much simpler, consumer friendly and repeatable). 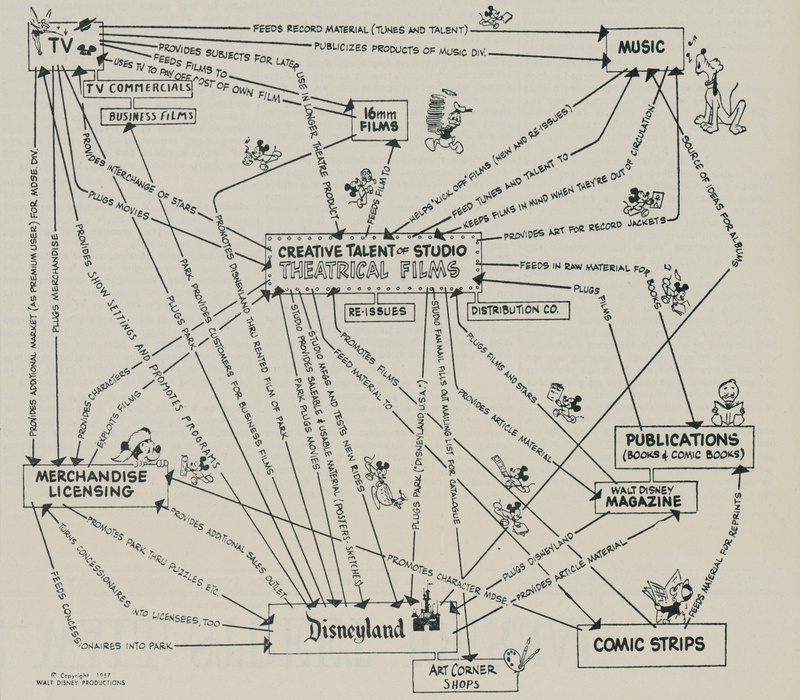 This might seem radical – especially given the incredible success of Disney’s feature film business today – but the strategic value and math both add up. Disney’s feature films are the most valuable content to its customers, and they’re likely to have the greatest impact on subscriber additions and churn, as well as the service’s overall pricing. In addition, Disney’s streaming service is likely to be the most valuable and important part of Disney’s business. Accordingly, shifting emphasis from the theatrical window to SVOD would match both business and customer value. The prioritization of SVOD releases is also likely to increase total viewership for each title (which is critical for IP-based companies like Disney) and, again, increase lifetime customer value by formalizing a shift from a single transaction to a recurring one. The mathematics of the theatrical businesses also supports the transition. In 2017, Disney’s films generated $2.4B at the domestic box office – equivalent to 33MM annual subscriptions at $6 per month. However, Disney receives roughly 60% of this revenue, with more than $900MM retained by theater operators. This means that for every $9 a customer spends on one of the company’s feature films (the national average for a movie ticket in 2017), Disney collects about $5.40. Not only is this approximately the estimated cost of one month’s subscription (see the next section), the average American attends only one Disney film per year. Were Disney to shift this spend to a subscription that lasts even one month, the revenue impact would be positive. In addition, Disney spends roughly $1B on domestic theatrical advertising to generate this revenue – and its films generate another $500MM+ for theater chains in concession revenue. Even if Disney prioritizes SVOD distribution for its feature films, the company will still spend hundreds of millions advertising their release. In addition, cannibalizing the theatrical window for SVOD revenues is likely to have a net negative effect on total revenues in the short-run, as many customers would have subscribed to the service and still paid to see the films in theaters. However, it will allow Disney to improve monetization, decrease costs to consumers, reduce ad spend, increase per-title viewership and grow service pricing (thereby offsetting some of the effects of theatrical cannibalization). Disney could still proceed with theatrical releases (perhaps the right approach is a two- or three-week theatrical-only window). This would incense exhibitors, but with Disney releasing five of the top five grossing films in 2016 and four in 2017 (including Spider-Man: Homecoming, which was technically a Sony picture), it’s hard to imagine exhibitors abandoning the studio – especially given the secular decline of moviegoing. And that’s without Disney also owning 21st Century Fox (another 12.5% of the domestic box office). How could the service be sold? In the digital era, price discrimination is critical to revenue maximization. This will be particularly important for a Disney subscription service, as it’ll have a massive content offering, with highly variable cannibalization of existing revenues from one customer to another and, accordingly, a large variation in the perceived value of the service. In addition, subscription economics (in which it is far better to retain subscribers at a lower recurring revenue than have them churn in and out of a higher priced subscription) and the price-anchoring effects of Netflix, which has a massive catalog at $10.99, will require minimizing prices. Accordingly, we’ll likely see three types of subscriptions. The highest price will be include all available Disney content across all categories, plus discounted merchandise and park passes, etc. The mid-level subscription will be all available video content– but only video (i.e. “Disneyflix”). The cheapest will be individual universe subscriptions (e.g. everything Star Wars or everything Marvel) spanning multiple media (e.g. TV, comics, eBooks) but have the smallest amount of content overall. In November 2017, Disney CEO Bob Iger said Disney’s OTT streaming service will be “substantially cheaper than Netflix” (which was $10 per month at the time). Accordingly, I’d estimate a $5.99 monthly price to start, with only a video offering available for the first one or two years (it will take time to build out multi-product functionality and retrieve the rights needed for single-universe subscriptions). This service is unlikely to include any advertising, other than ads for other Disney products and content. Instead, the company will likely try to provide the best possible storytelling experience for customers (it’s also hard to see Disney cutting up its own content to splice in third-party ads in a service sold and branded as Disney). Comps (e.g. Netflix, Hulu, CBS All Access) show limited consumer interest in ad-subsidized experiences and increased net revenue potential for ad-free ones. Amazon’s Prime Video Channels[Disclosure] offering is believed to drive more than 50% of subscribers for unbundled cable offerings such as HBO Now and CBS All Access. However, Disney is unlikely to sell through such programs over the first two to three years, unless the service struggles to gain traction. While focusing exclusively on standalone distribution will negatively affect early uptake, Amazon Channels is a video-only offering, which would prevent upsell and the distribution of other Disney content/goods. It would also disintermediate both the customer relationship and experience and result in an additional platform fee. While this may be acceptable for video-only offerings (or at least an acceptable trade for the subscription lift), a true D2C subscription will be critical to Disney’s long-term vision. How might the service do? To date, the major à la carte video apps (HBO Now, Showtime, Starz, CBS All Access) have amassed an estimated 2-3MM customers each at $9-15 per month (including subscribers amassed through Amazon Channels). Disney skeptics argue that as a mostly catalog service (at least to start), Disney is unlikely to achieve these same figures over its first 12-24 months. However, this argument downplays the importance of pay-window film. HBO, for example, says 40% of its subscribers watch only films, and that films represent 71% of all consumption (and 61% of on-demand viewing). While HBO benefits from two and a half exclusive Pay-1 deals with major studios (providing exclusive TV/SVOD rights to all new feature films from Time Warner, 21st Century Fox and parts of Universal), Disney’s Pay-1 deal is the most valuable. Over the past two years, Disney’s films have averaged 25% of all tickets sold and represented nine of the top 10 films. Disney’s service will also include much (and ultimately all) of Disney’s extensive film library. And if the company’s 21st Century Fox acquisition is approved, its share of the pay-window box office will grow even more (though Fox’s Pay-1 deal with HBO won’t elapse until the early 2020s). Any direct-to-platform releases would further expand the attractiveness of this film library. Then there’s the demographic data. The United States has 19MM households with one child under 18 and another 16MM with at least two. Regardless of the scenario one tries to model (e.g. 50% of all households with a child under 12, 25% of those 13-18), it’s difficult to assume fewer than 5MM subscriptions just through families in the first year. But this misses the bigger picture. A Disney streaming service epitomizes (or defines?) the American cultural identity. With all Disney content available, there’s no reason to believe a Disney subscription service can’t reach 50%+ of the family market (Netflix has 50% of all US households today), plus a substantial portion of all non-family homes. When/if the service embraces theatrical releases, subscriber potential will increase even further. Critically, Disney will also benefit from an unprecedented ability to drive organic interest in the service and free trials (i.e. the “top of the subscriber funnel”). With no incremental cost per subscription, the company is likely to include free trials with purchases of theme park passes (30MM Americans attend each year) and merchandise (the company sells $300 tote bags), provide free access to the service for those staying in its hotels or on its cruises and release high-value content (e.g. deleted scenes or trailers) exclusively on the service. There is no media company on earth with more pathways to drive early subscriptions. How could it change Disney and the industry? Creating “Disney-as-a-Service” will necessitate significant change at Disney. It’s not just rethinking the proliferation and monetization of IP, but also how the company should be organized, staffed and incentivized, and what a successful show, book or toy should look like. It will require considerable investment and involve constant cannibalization. Beyond keeping its Pay-1 film rights in house, Disney will struggle with questions of where to premiere its next great series (ABC/Freeform or “DaaS”?) and what the window looks like. This isn’t to say the company must abandon its existing channels and priorities by eliminating home video sales, for example, or downgrading its linear networks to reruns and afterthoughts. But Disney does need to be all-in on the idea that most of its existing business units are terminal on-ramps for “DaaS” and ensure that every aspect of the business is working to build that future. If the Disney streaming service works, it will fundamentally transform what multimedia storytelling looks like, permanently disrupt the theatrical window and change the way we think about IP monetization. And crucially, Disney is the only company that can provide an offering with such broad appeal (everyone watches Disney content), scale (no one comes close to Disney’s IP catalog) and scope (with myriad in- and out-of-home experiences). This not only provides particular upside, it arguably takes Disney out of competition with both traditional media companies and digital-era competitors like Netflix, most of which aggregate content brands but fall short of being brands themselves. The classic question of whether content or distribution is king will be irrelevant, because Disney will be selling neither. Instead, Disney will be in the business of telling stories. But then again, it always has been. [Disclosure] This is speculation and not based on any inside information. While I worked at Amazon Studios at the time of Disney’s announcement, this did not involve oversight into the operations or plans of the Amazon Channels program. I am not aware of any information or expectations regarding Disney’s plans for 3rd party distribution, one way or another. As such, my estimates do not reflect existing business plans nor the views of either Amazon or Disney. Notably, HBO Now and CBS All Access waited more than a year to join Amazon Channels, and those were video-specific services from companies with modest direct-to-platforms/brands.